It’s not silver, it’s not gold – it’s rose gold! 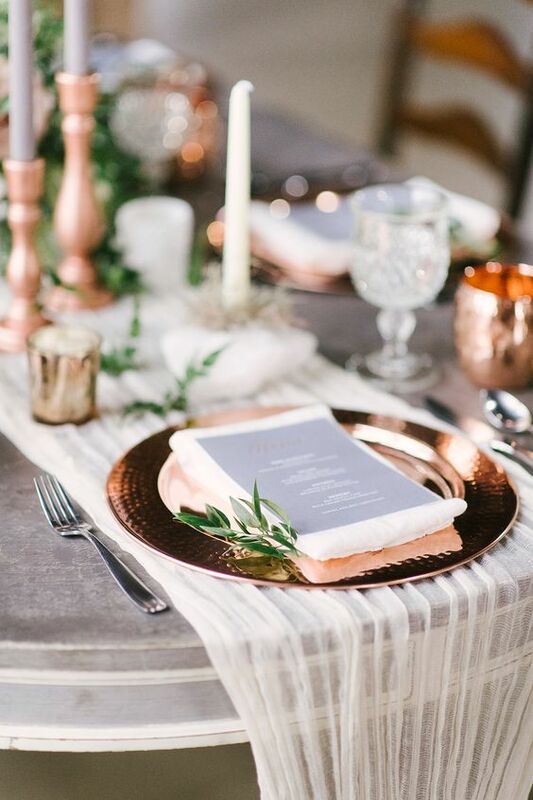 A warm, coppery hue, rose gold has been everywhere the past several years, from decor to engagement rings. 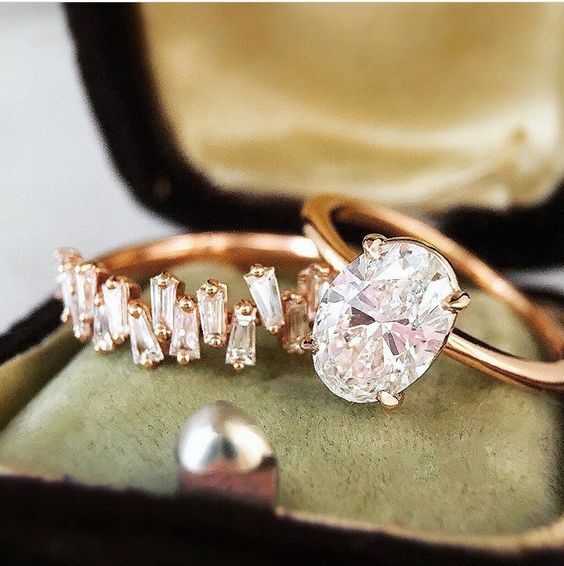 Rose gold is an increasingly popular choice for brides because of its romantic, pinkish tone and differentiation from your normal silver and gold. Everything’s coming up rose gold – read on to discover how to style this chic shade yourself! 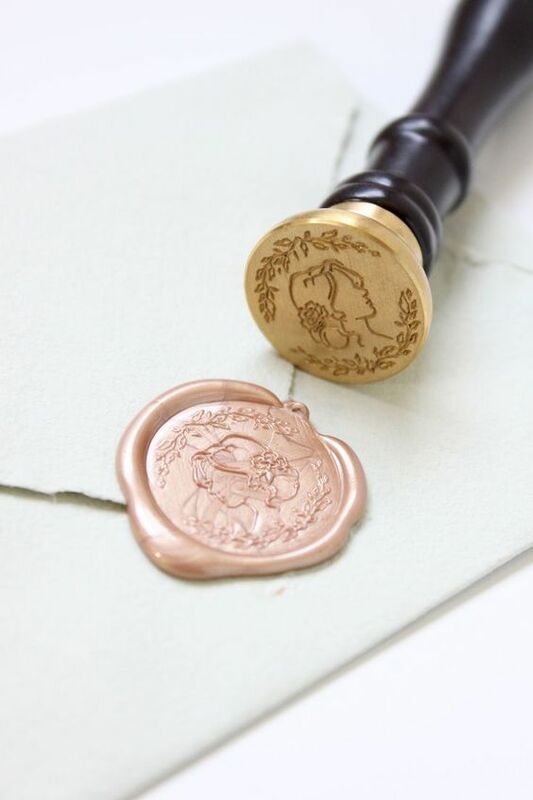 Create your own wax seal in a rose gold hue for your wedding invitations. Incorporate your initials, family crests or custom graphic for a personalized touch. Who doesn’t swoon over a rose gold ring? 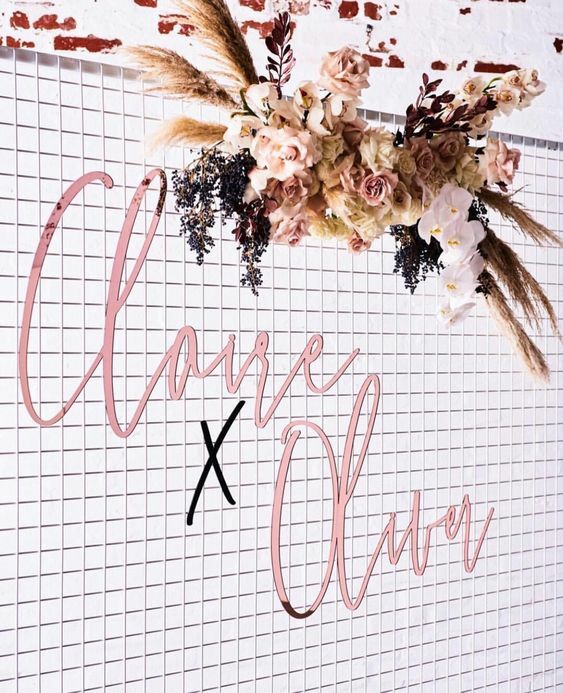 Whether it’s a oval-shaped stone or vintage-inspired piece, you can’t go wrong with this romantic metal. 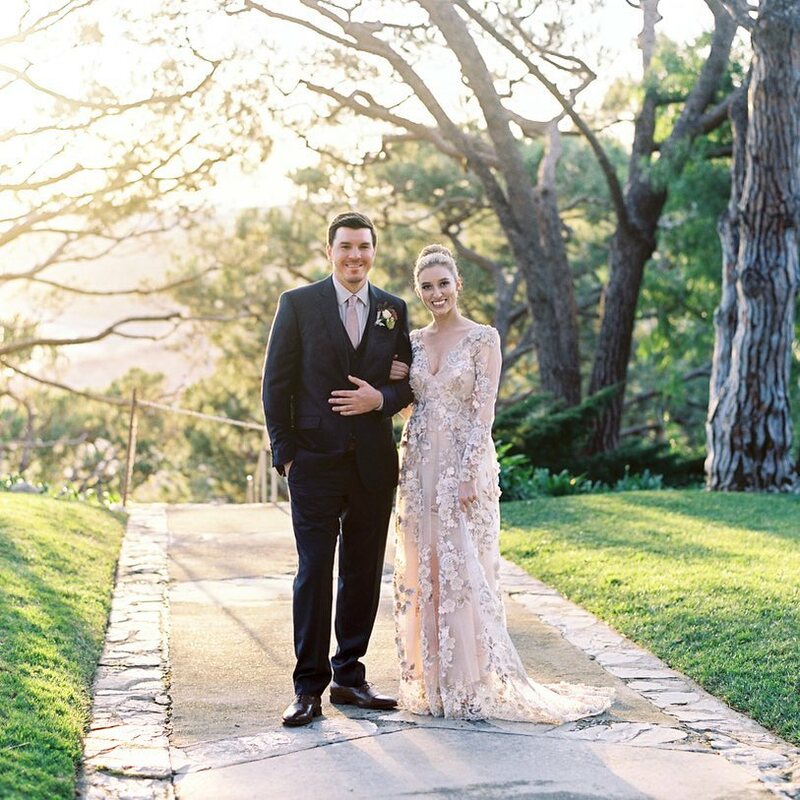 This gown is definitely not-your-average-wedding dress, and we’re all about it! Blush tulle, flower applique and rose gold glimmer add major glam to this wedding day look. 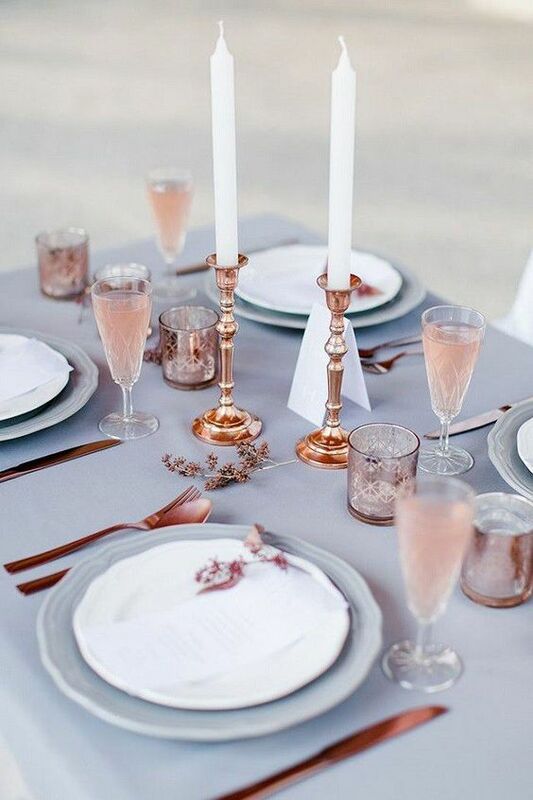 Make a neutral color scheme pop with rose gold accents in cutlery and glassware. Add blush cocktails to pick up the pink hues in your tablescape. Mixing metallic accents with natural elements looks organic yet modern. Copper-colored terrariums are a unique alternative to your typical flower arrangements. Air plants, succulents and mini cactus pair beautifully with pink himalayan salt blocks for an all-around rosy hue. Pampas grass, mirrored copper and fresh flowers make for a beautiful reception backdrop. 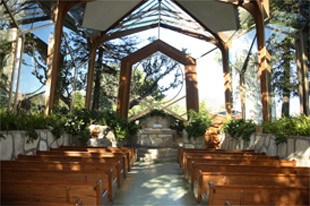 Your guests will love snapping photos in front of this masterpiece! The infamous copper mugs definitely have a place at your rose gold-themed wedding! 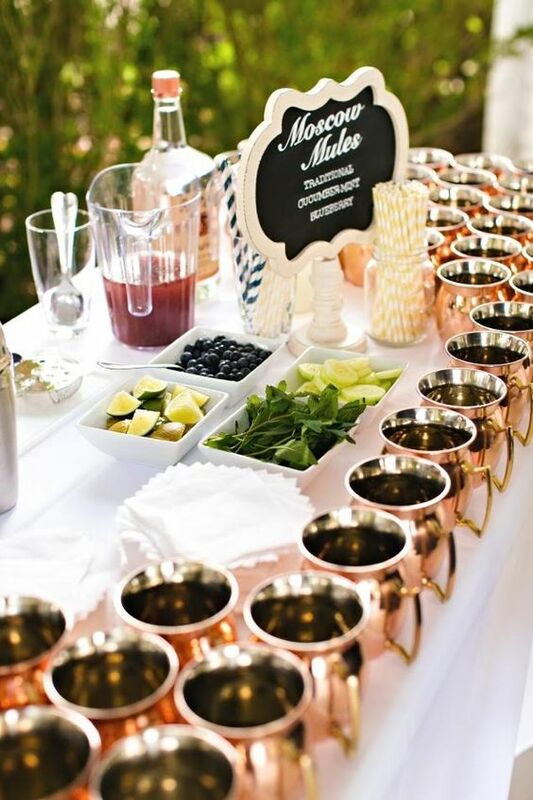 Let your guests customize their Moscow Mules with citrus, herbs and other garnishes.